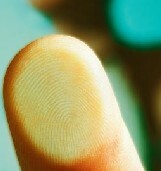 In 2005 Iowa legislators passed a law forbidding the use of fingerprint scanners in schools. The biometrics technology was being used in lunch lines, for library checkout and bus boarding. There were fears that the information wasn’t secure and could be hacked. But the Iowa Department of Education wants lawmakers to pass new legislation making it legal for schools to use the biometrics technology. Schools would be able to save money if they didn’t have to print out different cards for lunch, library and other activities.